Cut the chicken into legs, thighs, breasts and wings. Cut each breast crosswise through the bones into 3 pieces. Remove the thigh bones and cut each thigh in half. Step 2 In a large saucepan, heat... Remove the chicken from the refrigerator and let sit at room temperature while making the broth. Reserving a few sprigs for garnish if desired, cut the cilantro bunch in half crosswise, separating the stems and leaves. 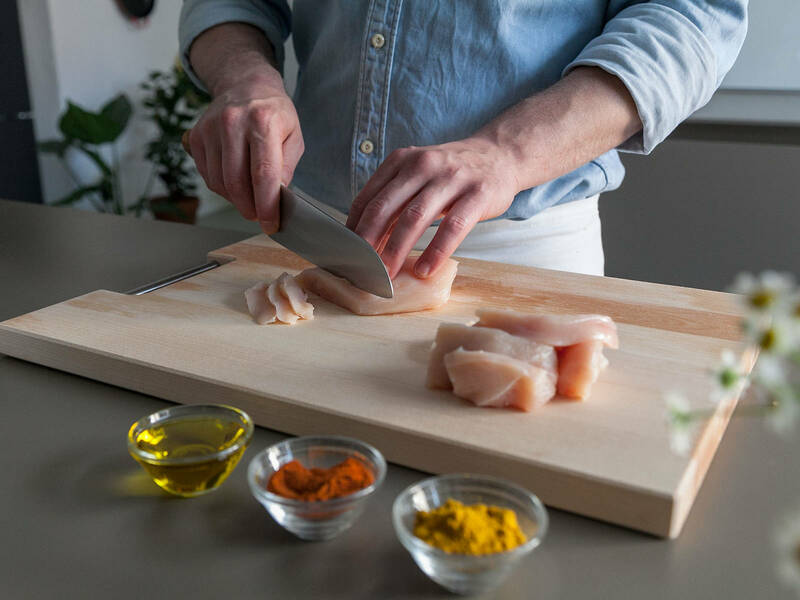 Cut chicken: Cut each breast crosswise into 3 pieces, and halve each thigh, drumstick, and wing piece, discarding wing tips, to produce 18 pieces total; set aside. 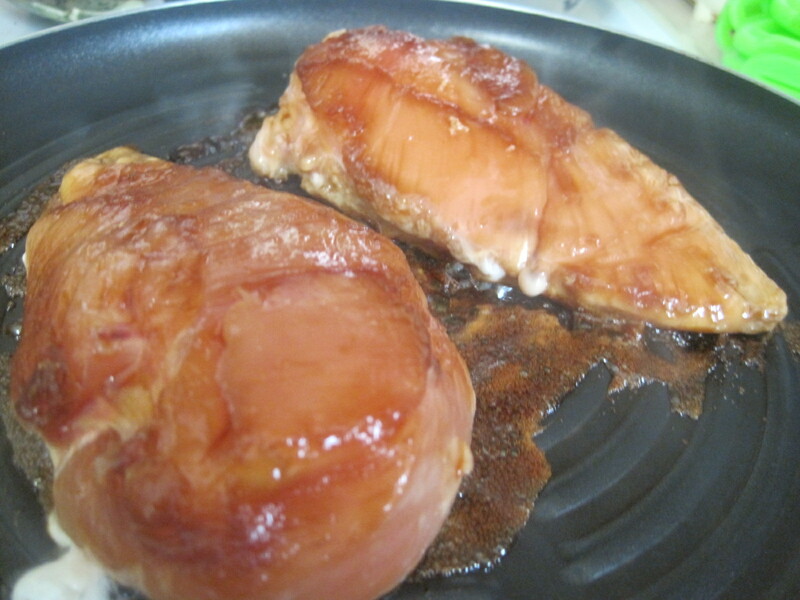 Make 5-6 slits crosswise in each chicken breast. Season chicken with salt and pepper. Season chicken with salt and pepper. Split toppings among chicken; place in slits.